to Tim and Stamper Anonymous for providing our prize! to the winners of the new Mini Handwritten Holidays stamps! Oh, My! Those stamps are awesome! And, Paula, your tags so great....inspirational and fun! So, YES! I'd love to win a set of those stamps!!! Thank you for sharing your work! Oh what fun!! they really come even MORE to life when you add on the ribbons! Love the Tis the Season tag! It will go perfectly with the wrapping paper I bought yesterday. I loved to win a set. Thanks Paula for the great tag ideas! 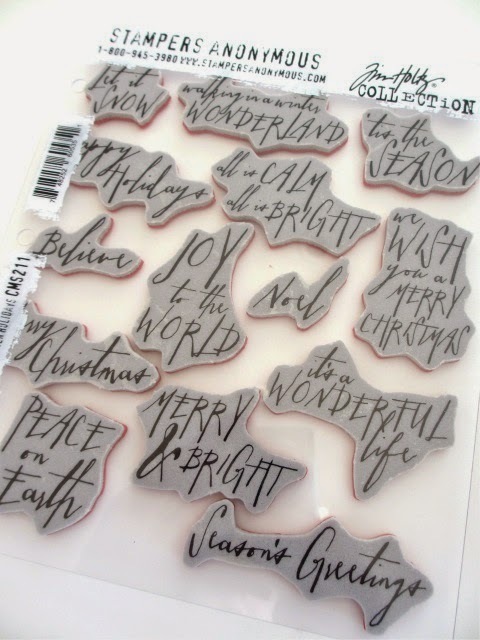 If you did not win today, but still want the new Mini Handwritten Holidays stamp set - you can get it at Simon Says Stamp by clicking on the link below to reserve your set. The stamp sets will begin shipping this week. Congratulations! What a fun prize just in time to make those holiday tags. Thanks Paula and Tim! Congrats to all the lucky winners - create beautiful things with your new goodies! Paula, thanks for the giveaway and congratulations to the three winners. Lucky Girls!! Thank you so much Paula! I can't wait to use these stamps. Hope this set will soon be available in the UK. Congrats to the lucky winners. Have fun with the beautiful stamps!!!! Congratulations to winners ! You will enjoy those stamps !